Noted Vaughan divorce lawyer, Rachel Radley, is the managing partner and founder of Radley Family Law. Prior to establishing her boutique law firm of Vaughan divorce lawyers, Ms. Radley practiced as an attorney within Ontario’s Family Responsibility Office (FRO). Rachel has developed a reputation for developing fair, reasonable, and enforceable settlement agreements. Divorce law in Ontario is complex and constantly changing. Her approach has earned the appreciation of clients and the respect of opposing counsel and the family law courts. Most divorces are resolved through negotiation. This is always the preferred approach as it saves clients time, money and anguish. However, there are times when a fair and equitable agreement can not be negotiated. In those instances – Ms. Radley has the experience to litigate your divorce in court. 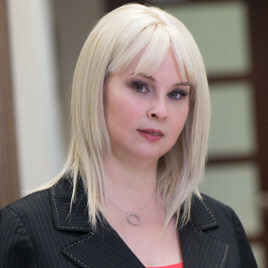 She has successfully represented divorce clients at all levels of court in Ontario including the Court of Justice, Superior Court of Justice, Divisional Court and the Court of Appeal. Rachel Radley helps her clients overcome the challenges one inevitably experiences in divorce. Ms. Radley will work with you to understand your wishes and advise you of your legal rights and obligations. Topics involving division of assets, child custody, visitation, child and spousal support are all very sensitive issues. Rachel and her team at Radley Family Law work towards achieving the most favourable outcome possible in your divorce, so that they you can move forward with confidence in your future. Contact Vaughan divorce lawyer Rachel Radley today – Call 905-669-2109 or email rachel.radley@radleylaw.ca.